Mac USB drive data recovery software recover lost data such as text documents, music, multimedia songs, audio clipping, video albums and digital pictures from formatted or inaccessible USB drive storage media. Data recovery software for Mac OS X supports recovery of deleted data saved in any types of file formats such as Video files, Audio files, Image files, Text files etc. ✔ Mac Data recovery software restores data even when error message like “Drive Not Recognized” is displayed on your Mac machine while working with pen drive. ✔ Recovery software recovers data from various USB drive storage media like Pen Drive, Jump Drive, USB Memory Card, USB Key Drive, USB Flash Drive, Pocket Drive, Thumb Drive, Handy Drive, Jet Flash Drive, Smart Drive, Flash Drive etc. ✔ Mac USB Drive data recovery software recovers data like audio/video songs, wallpaper, snaps, video clipping from undetectable or virus infected USB drive. ✔ USB Drive Data recovery software for Mac OS X recovers data from USB drive in all major capacities such as 128MB, 256MB, 512MB, 1GB, 2GB, 4GB, 8GB and even higher capacities. ✔ Mac USB drive photo recovery tool provides attractive GUI with inbuilt help manual, so does not required any technical training to operate the software. Transcend, Super Flash, Sony, Lenovo, Jet Flash, Kingston, IBM, Kingmax etc. Data recovery software for Windows to recover deleted files from corrupted media storage device. 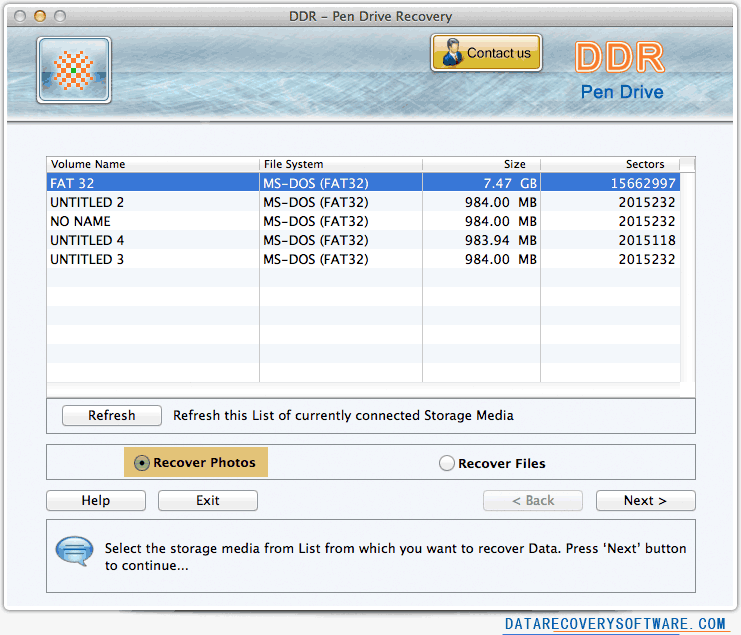 Try data recovery software for Mac to solve your data loss problem with accurate restoration of lost files.